Leaving your child in someone else's care can be an emotional process for all involved. To simplify the child-to-babysitter handoff, the brand new In A Pinch Back-Up Plan is the ultimate toolkit to ease the transition and leave the babysitter fully prepared for any situation that may arise. 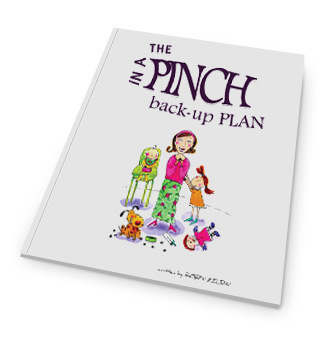 The In A Pinch Back-Up Plan takes the pressure off of parents who are rushing out the door to remember everything in a panicked moment because every detail is filled in before hand and can be easily referenced by the caregiver. 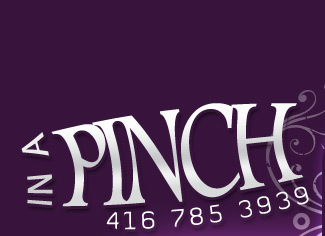 The In A Pinch Back-Up Plan will become the "how to" manual for your child(ren) so there will be no second guessing yourself or last minute frantic calls to the babysitter from the restaurant washroom to remind them what time little Johnny goes to bed. The In A Pinch Back-Up Plan, is the first comprehensive guide that provides your babysitter with everything she/he needs to know about your children. From favourite foods to bedtime routines, to specific likes and dislikes as well as all emergency numbers, this manual guarantees a smooth transition for everyone. Now you can record those all-important details in an organized, easy to read way. 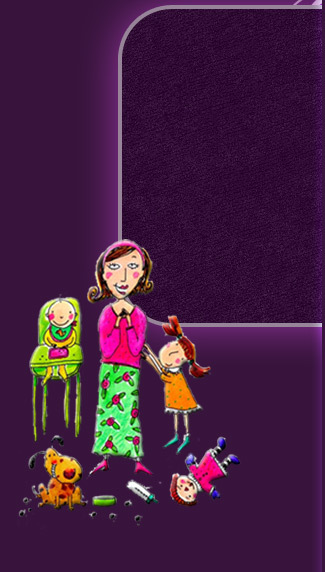 This book will relieve stress and help parents communicate more effectively with their caregivers. If there's less stress, the departure and transition will be easier, children will be happier and the overall experience for everyone involved enjoyable, fun and relaxed. The booklet also contains specific activity suggestions like fun songs and craft projects, as well as easy recipes for the caregiver to make with the children. 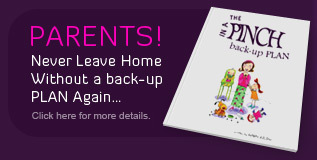 The In A Pinch Back-Up Plan, makes a great gift for any family couple it with a few hours of babysitting purchased by you! It's a helpful tool for the caregiver as it ensures they spend minimal time looking for things or guessing the answers and more time playing with the children. It also guarantees bedtimes are not missed, teeth are brushed and that the kids don't convince her it's okay to have ice cream for dinner! The booklet is fully bound, printed on durable paper and has extra pages and spaces to update the information on a regular basis. The booklet also comes with a CD so you can print off additional pages and add them to the booklet if needed, keeping you organized and up to date on all pertinent information surrounding your children. The booklet is also a fantastic tool for babysitters and family members who often help out but may be unfamiliar with some of the house rules around or the location of special items. To order your copy please email us at Robynzeldin@aol.com or call us at 416.785.3939 ext 1 & 2.